See Lucky Diaz and The Family Jam in So Cal! Have you had the chance to see them yet? Below is a list of shows for Lucky Diaz in So Cal. a treat for kids and adults alike! We attended the final stop on their summer tour last year and can't wait to see them again this year. Below are pictures from their performance at the Levitt Pavilion in Pasadena which offers a summer concert series that is free to the public and features amazing talent . If you haven't read any of my reviews on this amazing Indie band before or had the chance to see them for yourself, let me tell you they are insanely talented and unique! It's physically impossible to sit still and not want to dance and sign along with them. 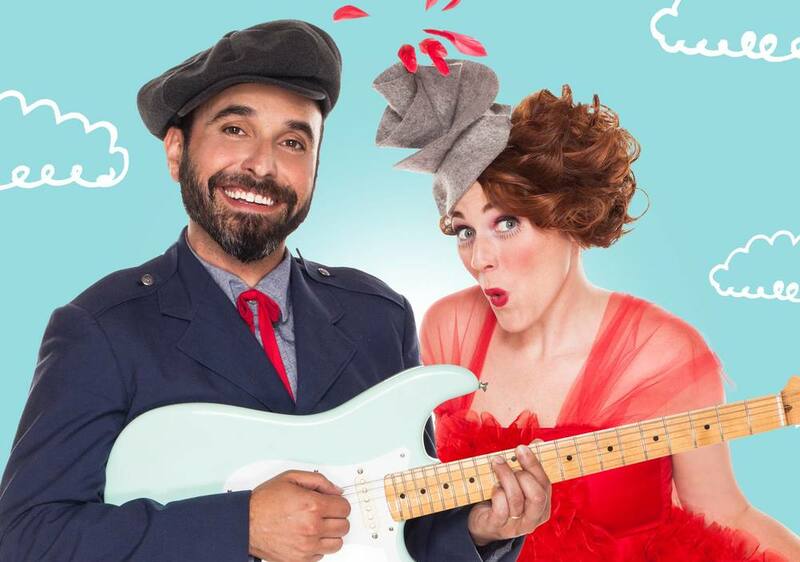 Apart from their abilities to entertain live they also have their own show too, Lishy Lou and Lucky too on PBS Kids. We are Huge fans of theirs for the Bi Lingual singing they share as well as the life lessons they teach, not to mention they can carry a tune. Check them out on ITunes, Amazon for their CD's and Vimeo where the entire Lishy Lou and lucky Too Series is available for download. Not enough ways you say to check them out, stay connected with them on FB and many of the episodes can be seen there too.